I’m so excited – Abbi Kemp is a MY LOVELY WEDDING Vendor! 8 years. I feel in love with photography whilst travelling around India and haven’t put my camera down since. It’s so cliche but it’s definitely meeting lots of interesting people. Especially here in Dubai, I meet so many people from different countries around the world and I just love hearing people’s stories about how they met and fell in love. Many of my brides, I’m now lucky to call real friends and I get to carry on photographing their family as it starts to grow! What advice would you give to a bride looking for a photographer? Spend time working out what style you like such as fine art, documentary or traditional. The best way to do this is to look at lots of wedding blogs and Instagram. Once you’ve decided, start researching local photographers to see who suits what you want. Ask to look at entire galleries from weddings not just single images! Finally, meet with your photographer before you book. For me, this is the moment important part. Your photographer is one of the most intimate vendors that you’ll work with. You spend more time with them than your future husband! So, it’s important that you like them and feel comfortable to have them with you all day. I like to tell stories. Visual stories about love, family, friends and the future. Each image is a little moment that builds the fabric of your unfolding tale. Be it a stolen glance, a touch of a hand or a single tear. My work aims to capture the real, genuine moments of your Wedding day through honest yet beautiful imagery. When you look at your final album, I want you to remember how it felt to be there. The pure emotion. My goal is to create an environment that makes you and your guests feel at ease. 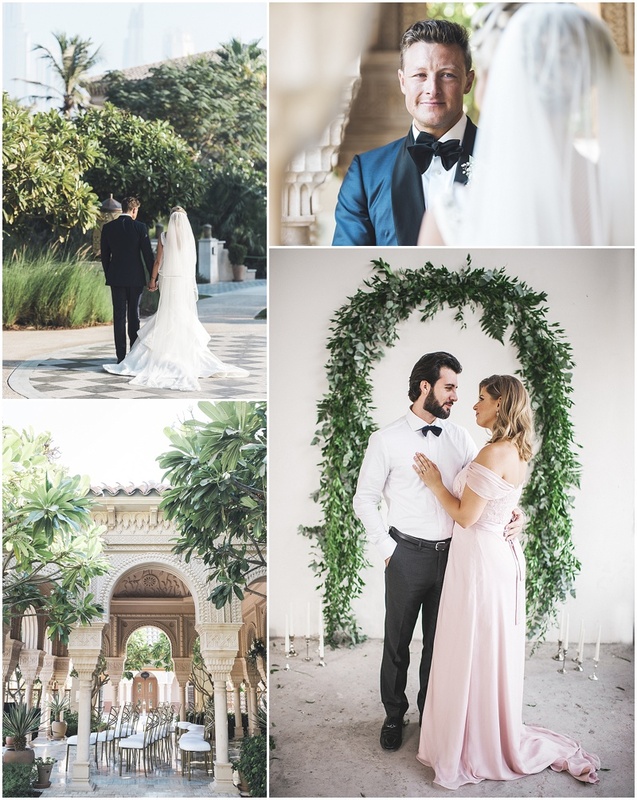 An atmosphere that allows you to be yourself amongst the madness and chaos of a Wedding day, so we can create stunning and timeless photographs that last forever. What would be your dream wedding to shoot? I love to travel, so I’ve always dreamed of waking up to an email asking me to go to somewhere in Africa to photograph an intimate wedding in a game reserve. One day! In fact, I just received an email this morning asking me to photograph a wedding in the Bahamas which is very exciting! To find out more about the lovely Abbi visit her website here: http://visualsbyabbi.com or call her on +971 55 3102802.